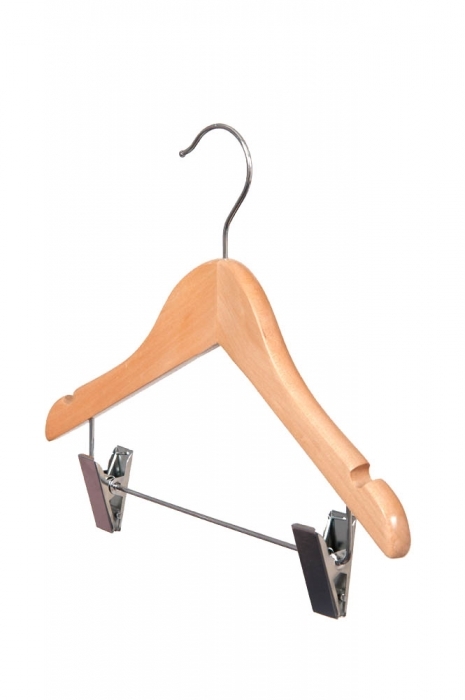 Traditional child wishbone style hangers with notches. 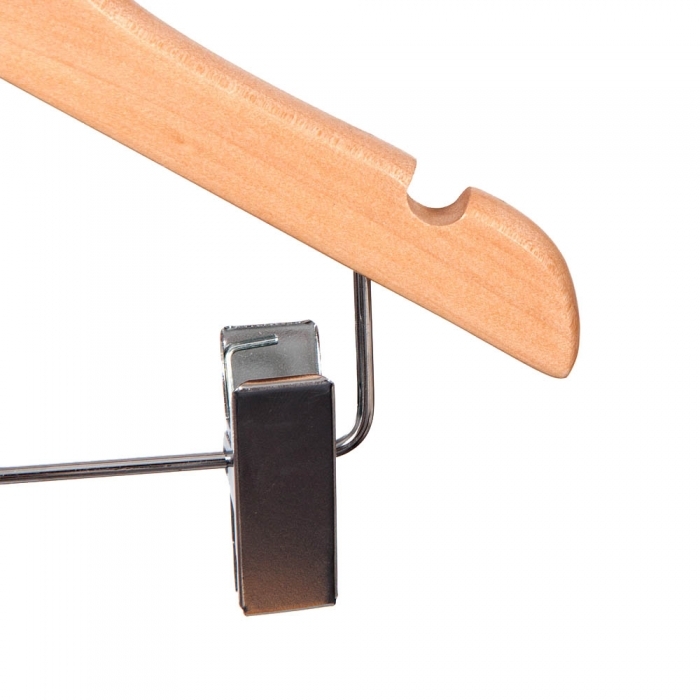 Natural colour hangers with chrome clips. Sold in boxes of 50. 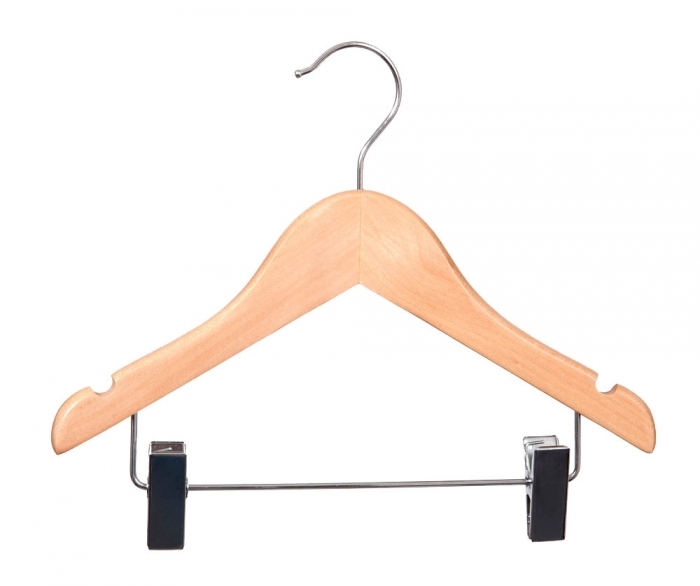 These hangers are 28cm Wide (280mm). 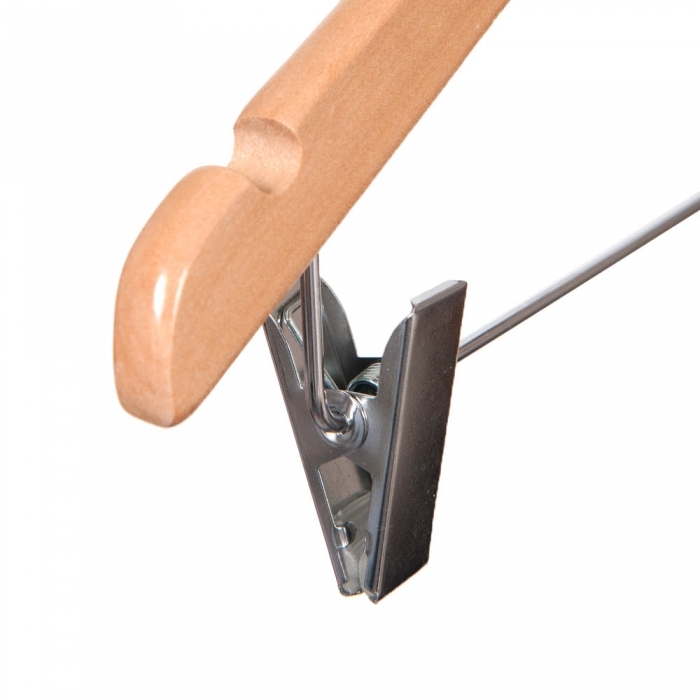 Perfect for the retail environment and sold to retailers throughout the UK and equally suited to the home the child wooden wishbone hanger with clips are ideal if you require a hanger for childrens clothing such as small T-Shirts and Trousers or Skirts that gives you the flexibility to use for multiple garments.